The Leslie Family arrived in Croatia in May of 2000. They have served for the last decade as only Independent Baptist missionaries in the entire country of Croatia. During this time the very first Independent Baptist church was planted in the northern city of Čakovec. Tree of Life Independent Baptist Church was started in 2002 and was turned over to Brother Rajko Telebar the national pastor in 2007. The church is currently under the leadership of Bro. Telebar and growing and learning to serve. The Leslies have also tried to have an active ministry to the Roma (Gyspy) population in Croatia. The northern part of Croatia has a large Gypsy population and they are in desperate need of the Gospel of Jesus Christ. The Leslies are currently working in 3 different villages. Bro. Johnny Leslie has now turned his attention to the former Croatian capitol of Croatia. Varaždin has around 300,000 souls within it's county and not one independent Baptist church. Please pray for Victors Baptist Church and the Leslies as they do their best to serve the Lord in Varaždin. Please feel free to contact Bro. 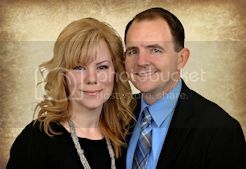 Leslie via e-mail or you may call him at 817-405-2619.
to the website of Johnny & Tori Leslie, missionaries in Croatia, Europe. We are so glad you stopped by and we pray you find the information you are looking for. It is our prayer that through these pages your heart would be burdened for the people of Croatia as much as ours are. Please take time to view our presentation video and download a prayer card. Also you can see updates about the Leslie Family and the work in Croatia at the following places. Pobjednici, the Facebook page for the church in Croatia or Bro Johnny's Facebookaccount. If you have any questions concerning our family, the work in Croatia or possible mission trips please feel free to e-mail Bro. Leslie.